My first military trip to the Alps was on the Joint Services Alpine Meet, staged from a campsite in Saas Grund in 2009. It was run slightly differently to previous iterations in as much that the Joint Services Mountain Training Centre had intervened to assist. Little did I know at the time that this marked the end of an era that had provided opportunity for military mountaineers to meet up in the Alps, purely to participate in alpine mountaineering, without specific connection to recognized Adventurous Training or associated qualifications. Inarguably, the camaraderie associated with being part of an Association within the Forces is critical to enhancing the military lifestyle as well as opening-up the opportunities to learn about different parts of the Forces in an informal way. It is also important to have a conduit for access which spans across units allowing enthusiastic people to participate in extremely demanding, yet niche activities that would otherwise not run at unit-level. These elements are especially important within the Reservist component of the Forces. Ex NORTHERN CHAMONIX CLIMBER was an attempt to resurrect an Alpine Meet for the Army Mountaineering Association. Twelve members, including two Reservists, spent 11-days mountaineering and rock climbing, staged from Chamonix. Every member of the exercise took with them their own objectives for development, with some keen to gain Foundation qualifications, others to consolidate experience ahead of leader assessments and others keen to challenge themselves against demanding routes offered in the area. The first few days were spent together in the Trient hut at the northern end of the Mt Blanc massif, getting to know the area, refreshing and learning new skills before the exercise split into two groups. 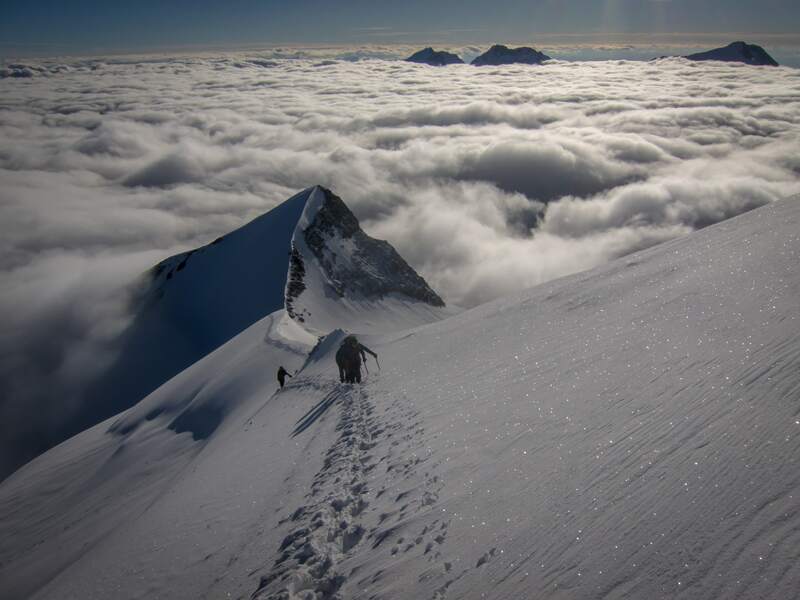 One group would attempt Mt Blanc at the end of the trip and spend the period acclimatizing through progressively higher objectives and the other group would challenge itself against progressively harder technical objectives. The weather was exceptionally turbulent throughout the trip, with afternoon storms, threatening rain in the valleys and delivering fresh snow in the mountains. This posed a great challenge to plan an itinerary in the high mountains that would be both safe and achievable, whilst being demanding and enjoyable. 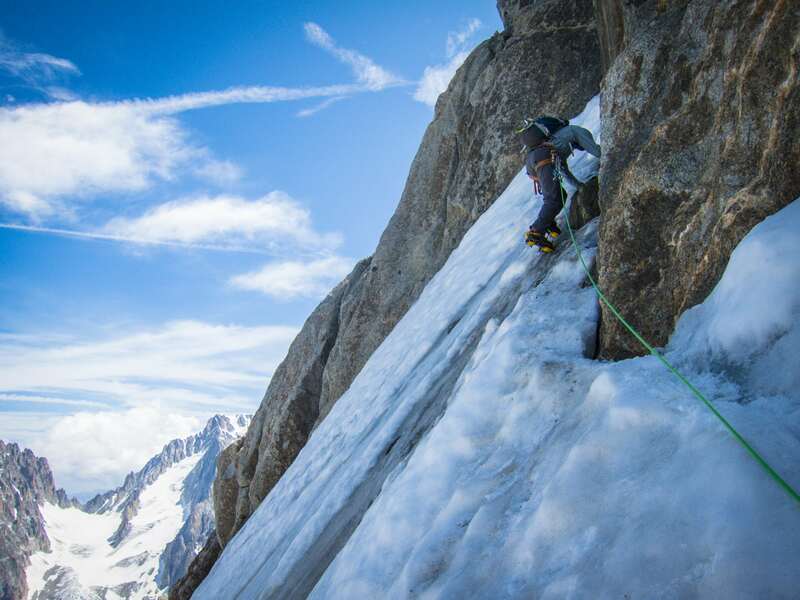 Whilst the rock climbers dodged the showers with early morning starts, the high-altitude team pushed out to the Swiss Valais with a hectic yet meticulously planned schedule and were able to tick-off several classic routes on 4,000m peaks before returning to Chamonix. 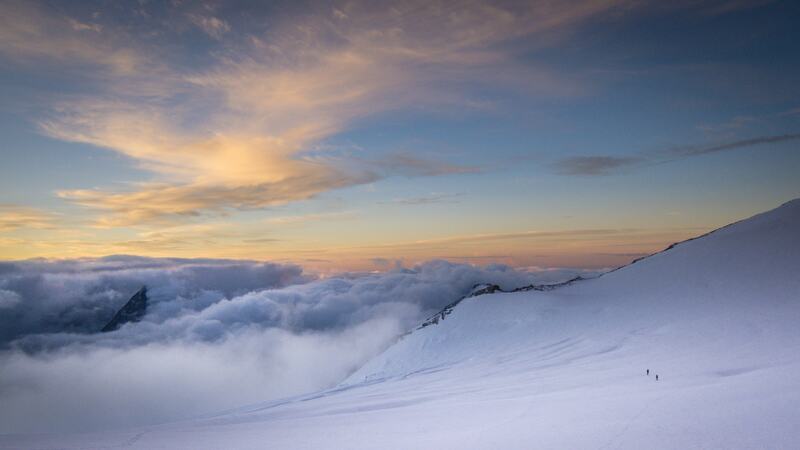 With a forecast that could have gone either way, the high-altitude team overnighted at the Cosmiques Hut before attempting the demanding ‘Three Monts’ route onto Mt Blanc. Even after a hailstorm over dinner and lightning that woke everyone from the brief overnight sleep, the team still set out to attempt the mountain after the 1AM breakfast. It was only after the first ‘mont’, that the slope onto Mt Maudit was too avalanche-prone to continue and that all the teams turned back. 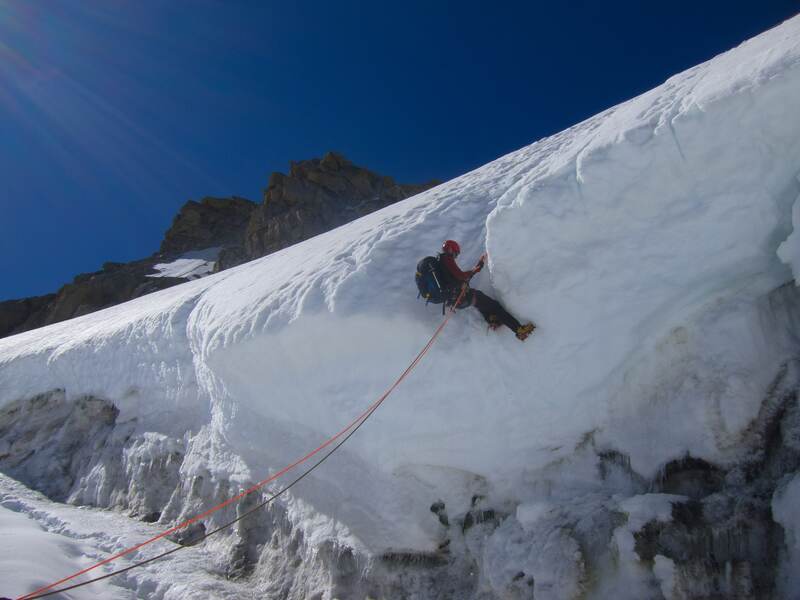 Despite the disappointment of not summiting, the opportunity to experience an extreme and dangerous environment and make judgments and decisions was of great use. The technical team had an equally challenging experience, finding rock climbs that were exceptionally demanding, some out of condition and sometimes not finding the climbs at all! 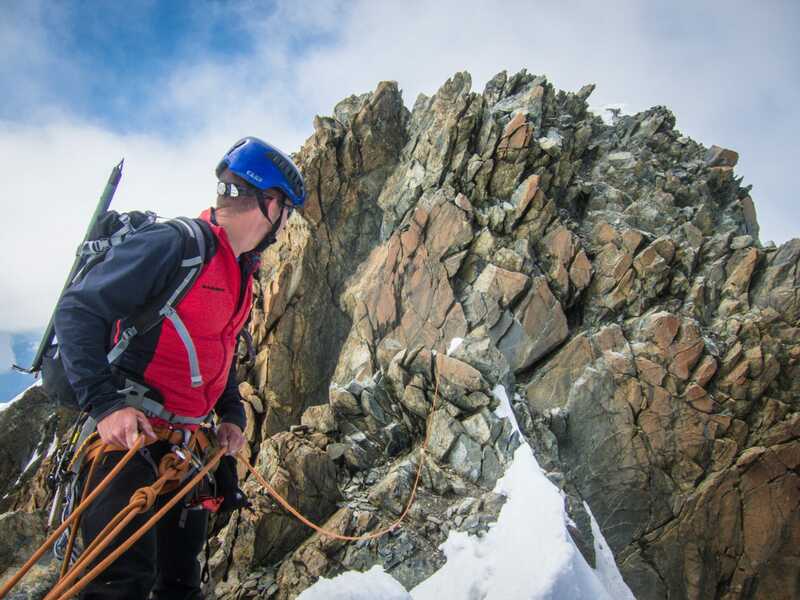 They also had a foray into the higher mountains with a couple of days at the Torino hut, on the Italian side of Mt Blanc, tackling rocky alpine ridges. All members of the exercise benefitted greatly and it is hoped that the event will continue into the future with continued support from all.